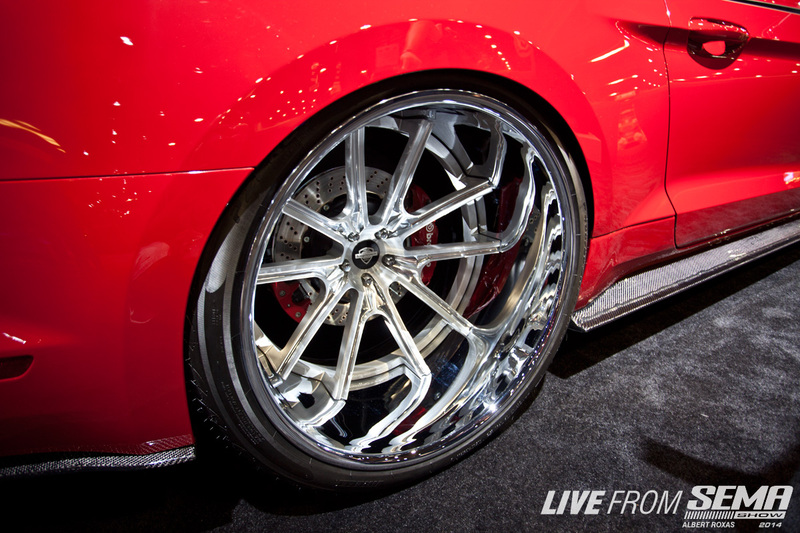 It seems like just yesterday the term "Dubs" (referring to 20" wheels) was the talk of the SEMA Show. This was back in the early 2000's just as "big wheels" were the toast of the town. Flash forward to 2014 and "Dubs" are now an OE size for some manufacturers: BMW ///M5, Porsche Panamera and the like. What is the term for 30" wheels? Yes...30"! 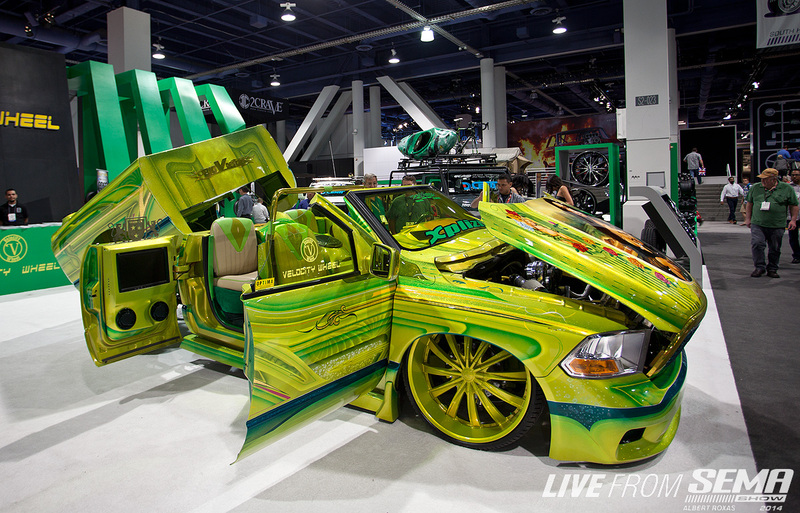 SEMA 2014 has been the showcase from some of the wildest wheel setups I've seen yet! 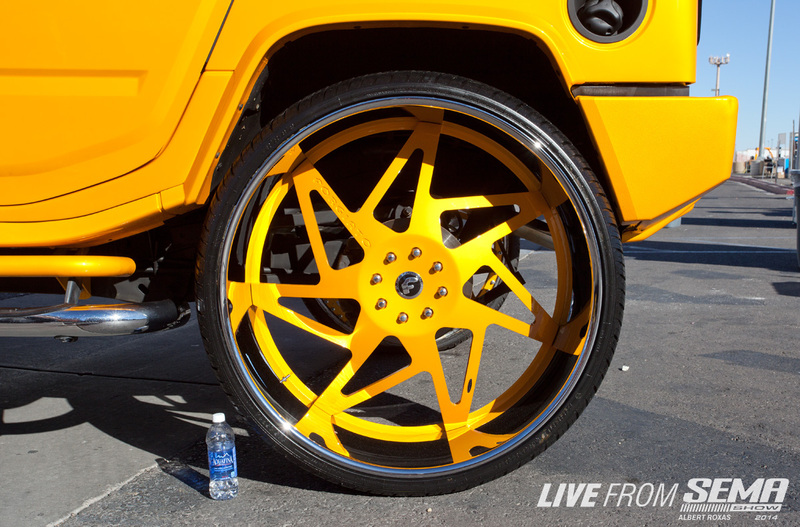 I took a triple take upon seeing the tire size on this H2 Hummer on Forgiato wheels...305/35/34...kids, that's 305 wide, 35 profile...and 34" RIM. Holy steam rollers Batman! I added this Aquafina bottle for perspective...INSANE. 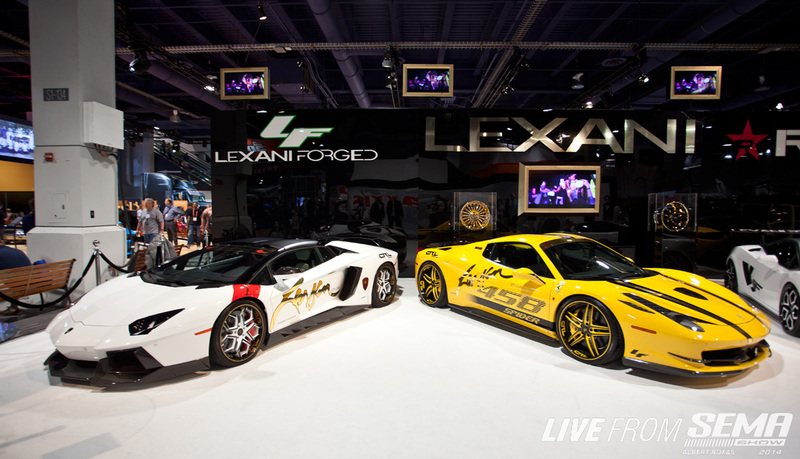 It's not just the "donk" style that holds outrageous wheels...check out these two Supercars in the Lexani booth. Anyone willing to put crazy color match wheels on their Lamborghini Aventador or Ferrari 458 must be incredibly confident in their decision. CRAZY. 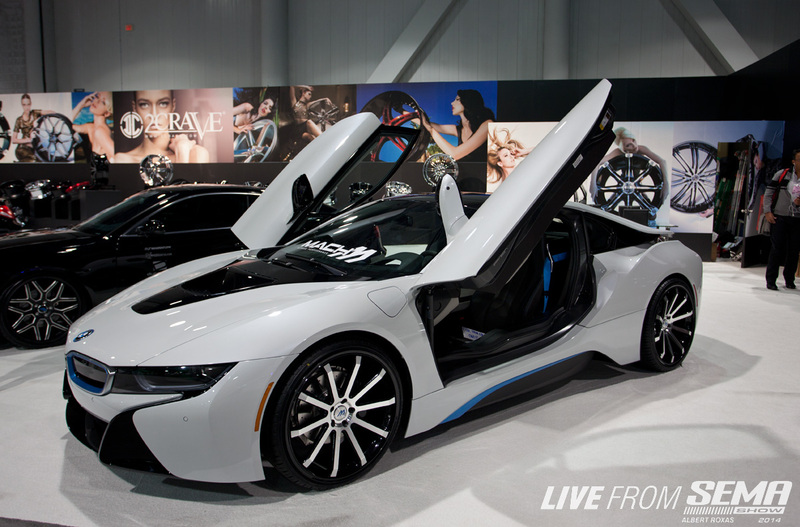 Just received your Hybrid Supercar BMW i8 with a $100K markup? First order of business, slap on some Mach wheels! I hope those tires are LRR (Low Rolling Resistance) in order to keep that MPG! 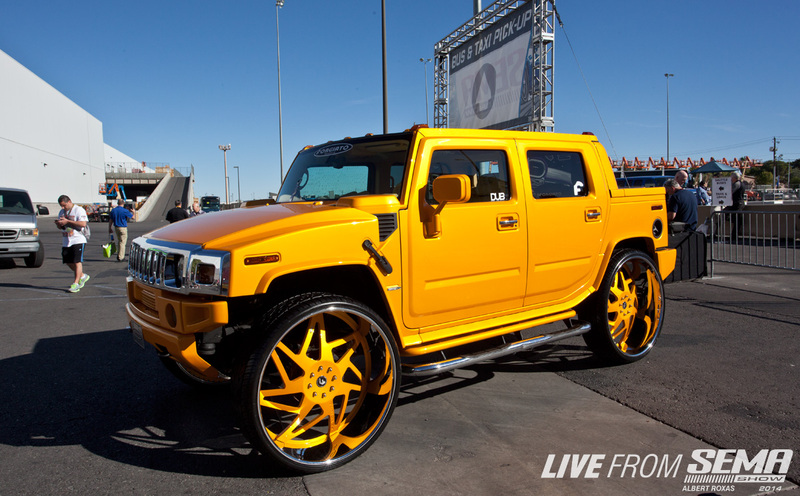 This wild truck in the Velocity Wheels booth had an amazing color match on it's 24's. 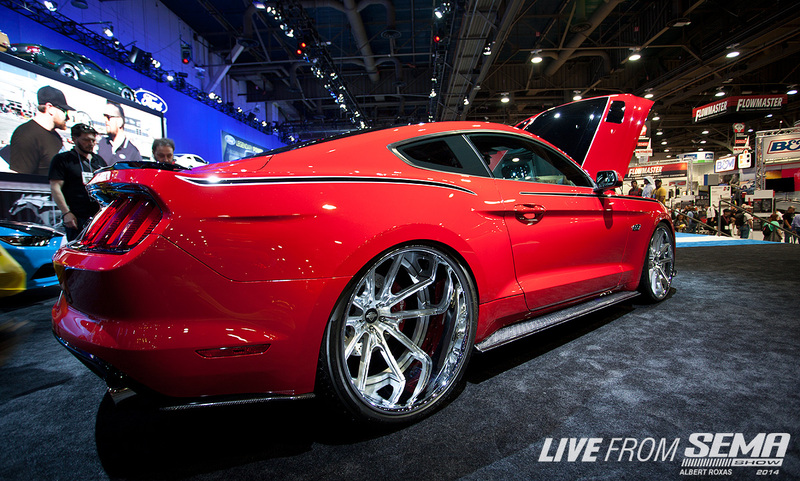 More craze from the Velocity Wheels booth... A little more to my personal taste but still equally outrageous - checkout the amazing lip on this 15" new-gen Ford Mustang! Don't try this at home kids...405/25/24 - the custom flares do a great job of making this look factory, but that incredible offset and finish give it away... 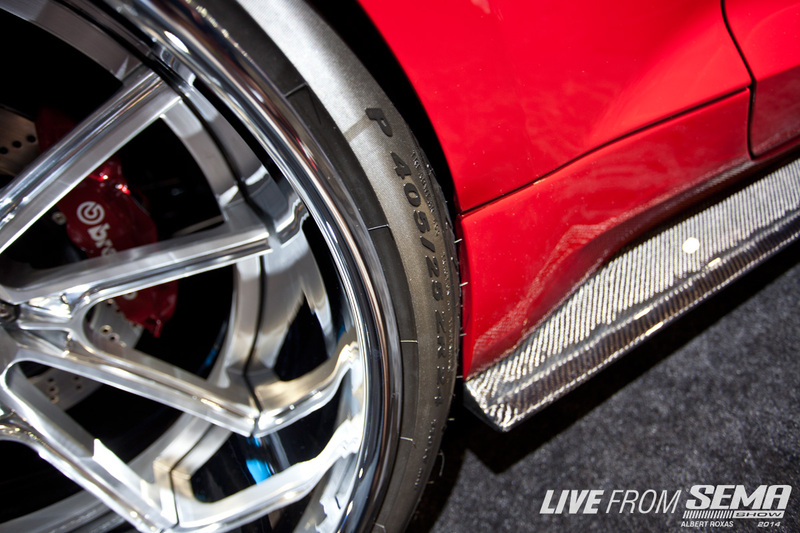 Perfectly flush with excellent fitment. That's not an optical illusion. Wheel and Tire sizes just keep getting BIGGER and BIGGER. What will be outrageous 3 years from now? 40" diameters? I guess we'll have to wait and see at SEMA 2017! !